There’s an undeniable intrigue when chasing rarities from across the globe. 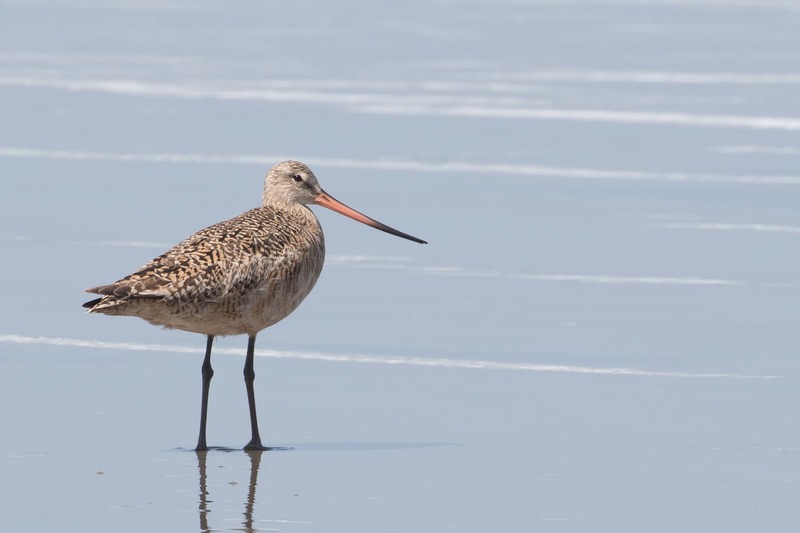 This time I was hoping for a shorebird off course from its typical New Zealand to Alaska migration called a Bar-tailed Godwit. 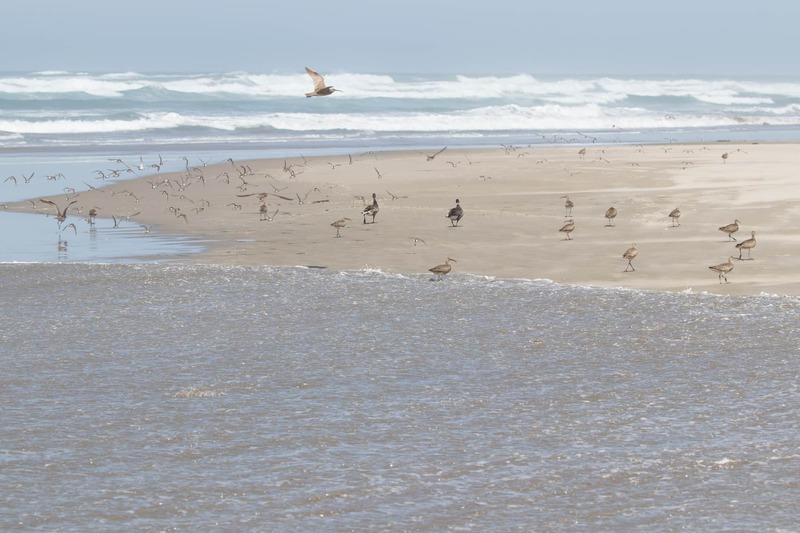 Thanks to unusual weather patterns, a handful had shown up on the Oregon coast this spring. 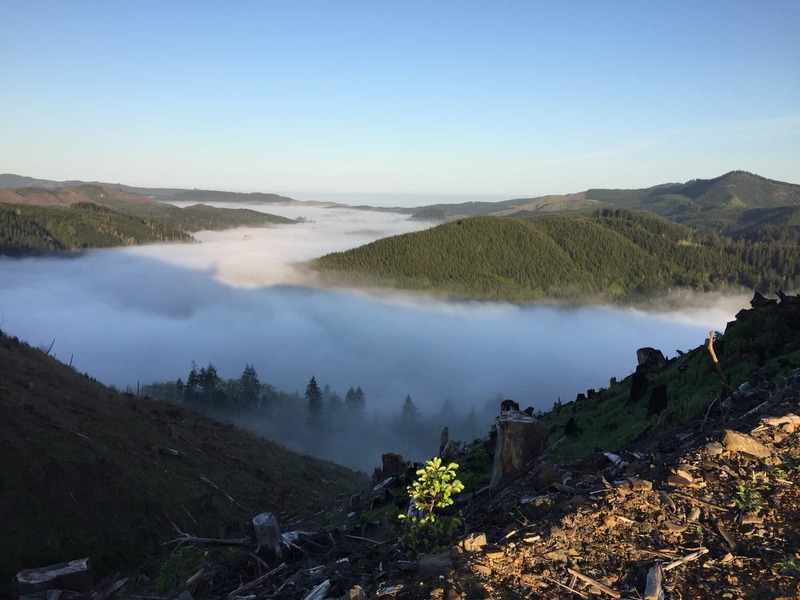 I timed my trip to arrive in the coastal hills at sunrise to listen for Mountain Quail. Since I was at the right place and the right time, I heard this life bird’s call pretty easily. 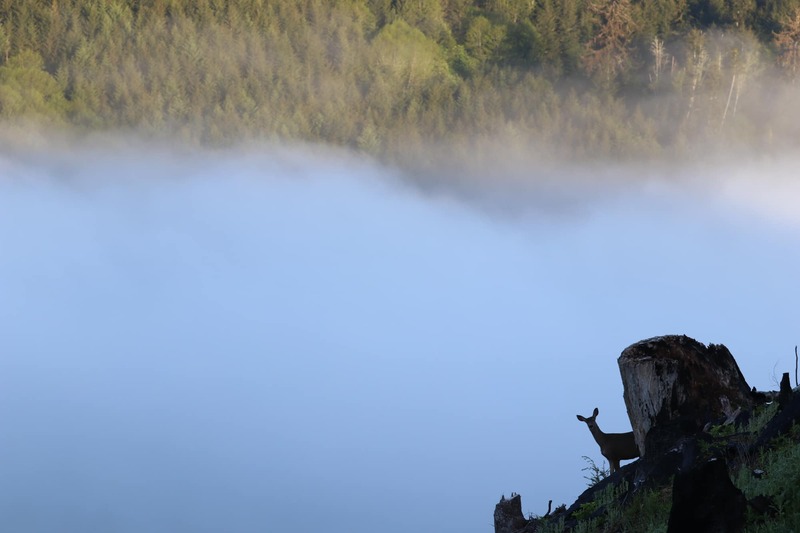 A pair was calling back and forth across the valley. But no visuals this time, and I didn’t have much time to spend looking. Next time, quail. I kept focus and made it to Lost Creek State Park while it was still early. 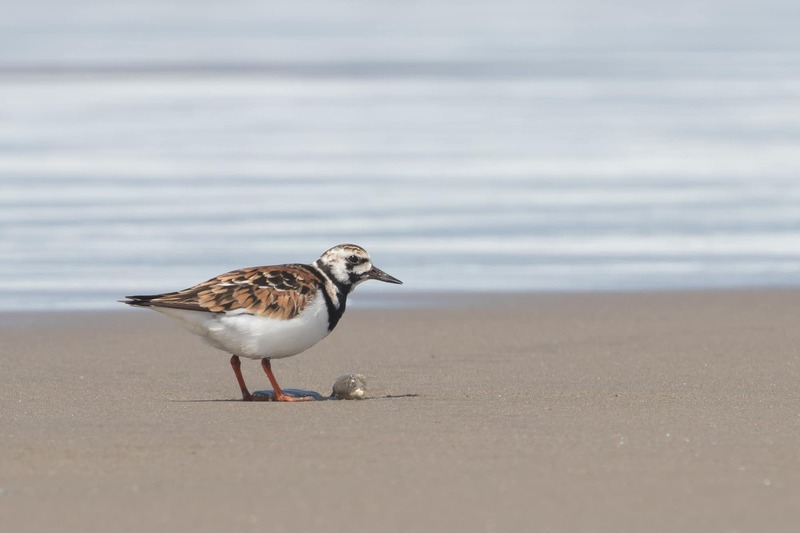 I felt both relief and excitement when I saw shorebirds in the distance. This could be it. But it wasn’t. 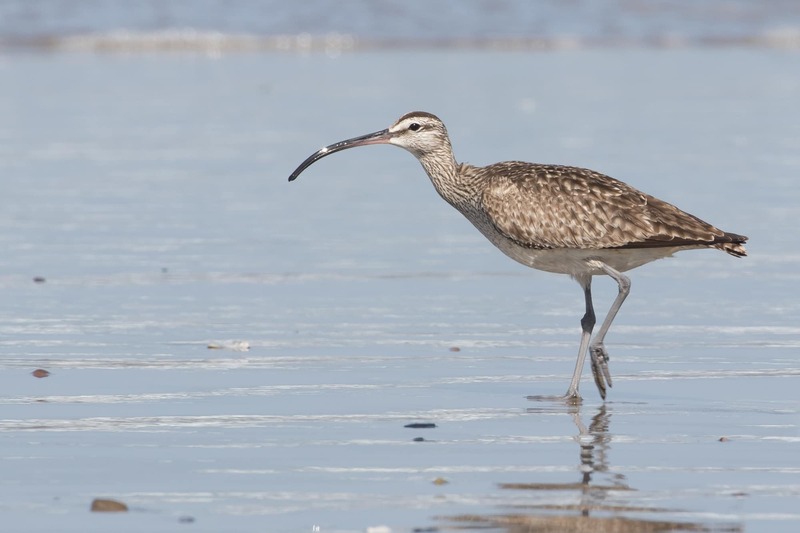 The Bar-tailed had been seen in mixed shorebird flocks of Whimbrels and Marbled Godwit and those were both here. This godwit gave me pause. I realized then that I’d never seen Marbled Godwits in breeding plumage. More buffy-brown cinnamon colored, with barring on the chest, and an orange-ish coloring at the base of the bill (signalling increased hormonal levels). 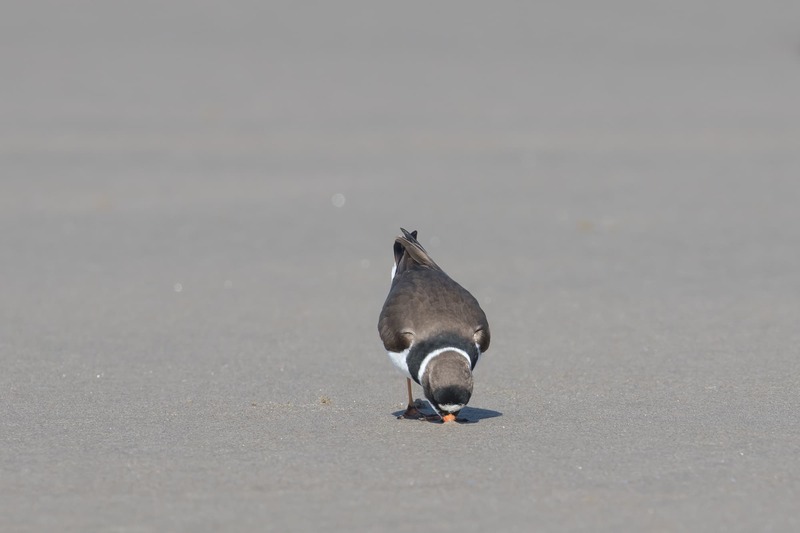 I had only seen them in non-breeding plumage with a pink base to the bill. There were also some birds with intermediate colors. This was getting more complicated. 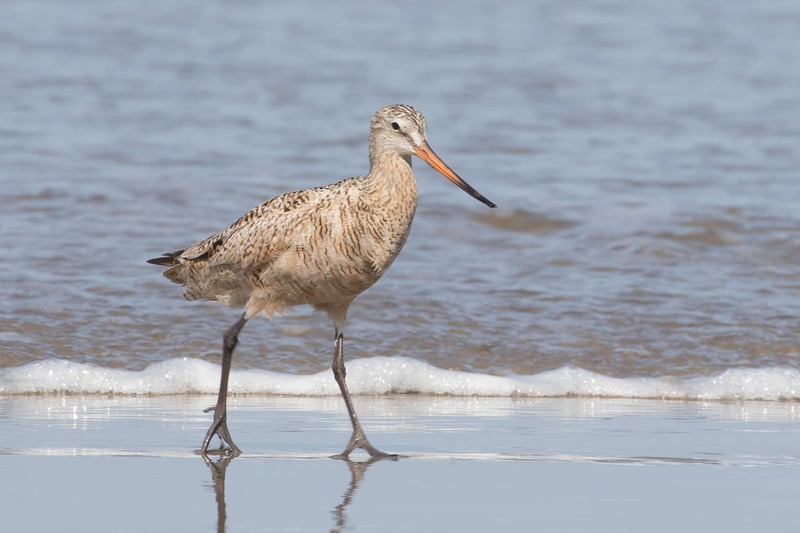 I had done my homework before arriving of course, Bar-tailed Godwits differ from Marbled in that they are slightly smaller, with a slightly shorter bill, and they lack the cinnamon underwing colors. 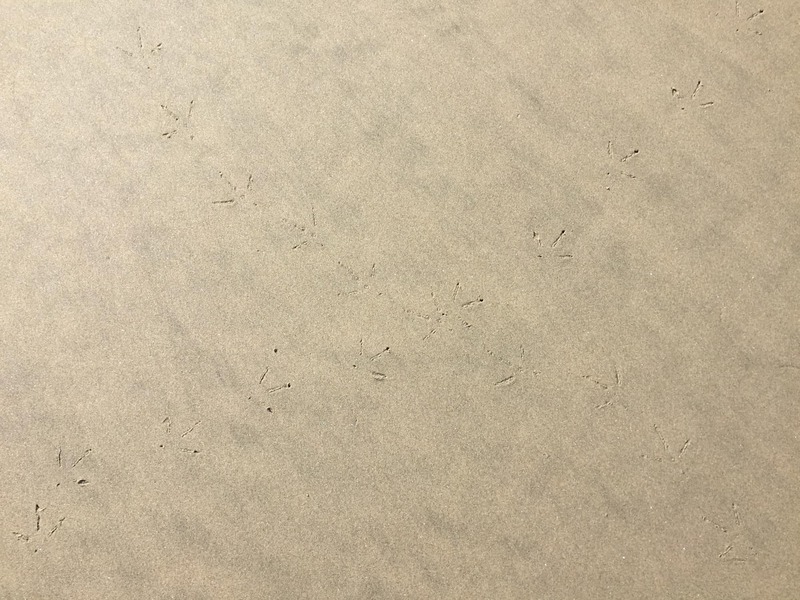 They are slightly more reddish in breeding plumage and grayer in non-breeding. I began to doubt I’d recognize these slight differences. So I looked at peeps instead. Hey, look! 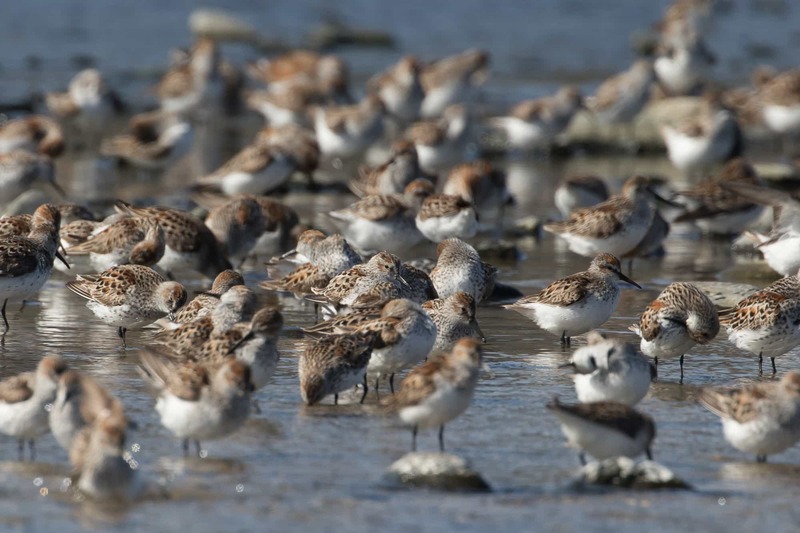 Western Sandpipers! 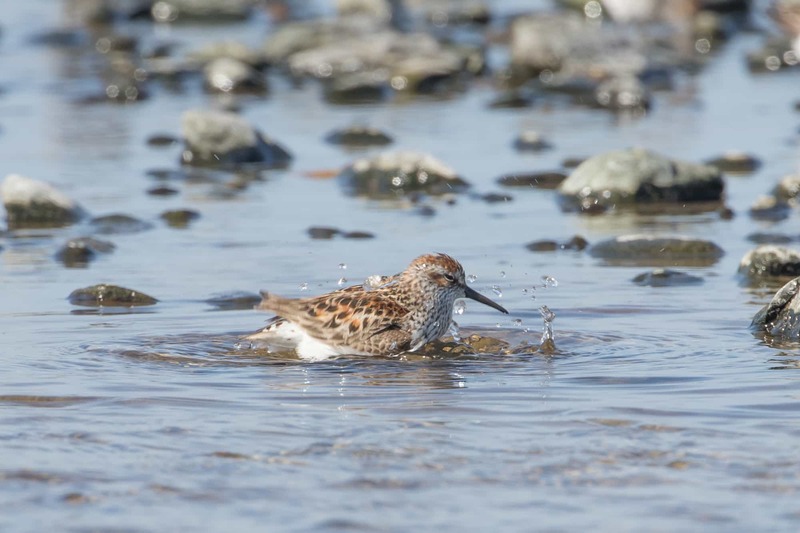 Dunlin in breeding plumage, look at that black belly! 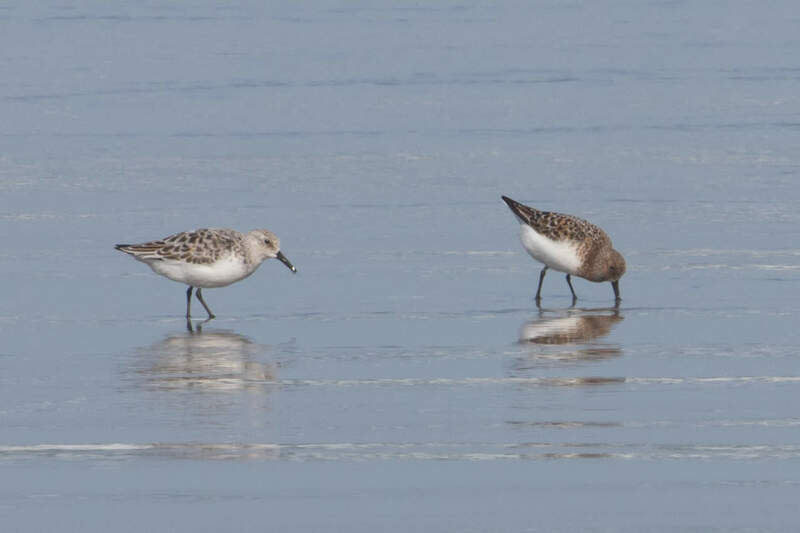 Sanderlings! That one on the right is in breeding plumage (mottled, rufous head and neck). And the best distraction. 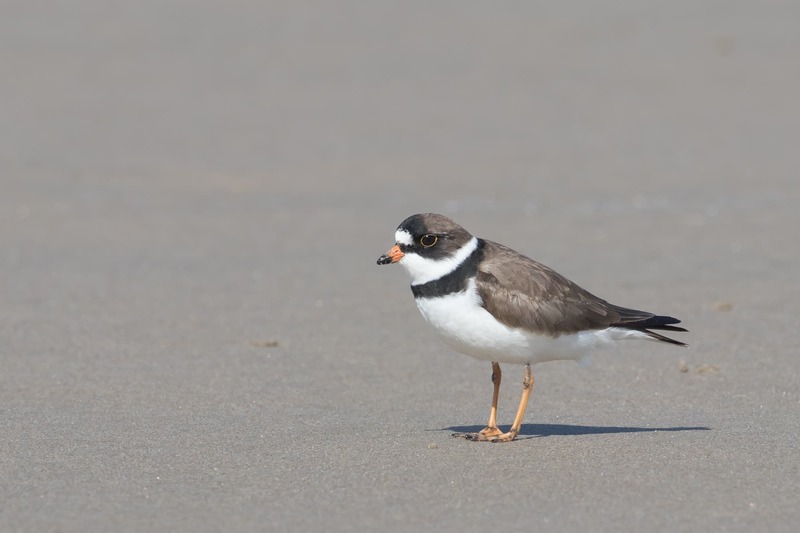 Semi-palmated Plover. You’re cute, even when you’re digging in the sand. That helped. I walked back to the car ready to try another location. As I was returning, a group of birders passed by and we exchanged information. They too were looking for godwits and hadn’t seen any Bar-tailed yet. At least I hadn’t missed anything. 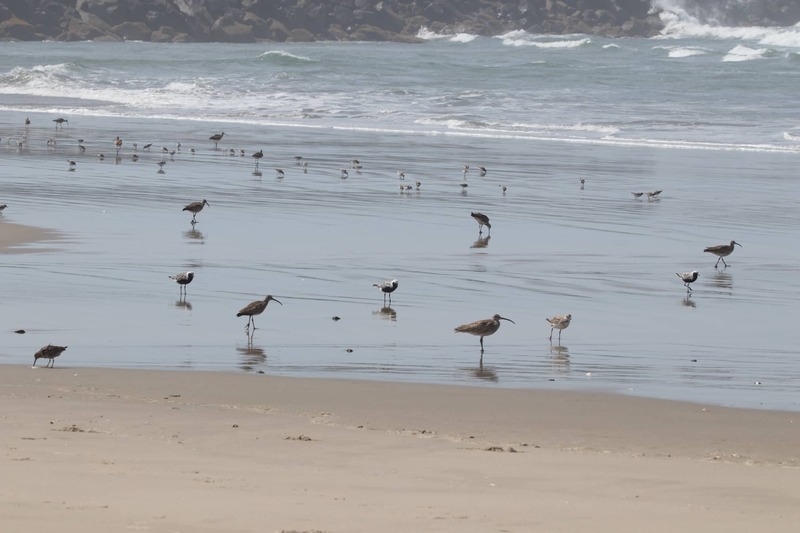 I pulled over at another beach spot, and found only plovers and Whimbrels. The next stop was Newport’s South Jetty where I found no Whimbrels or godwits, but I did catch a distant glimpse of a black ghost. 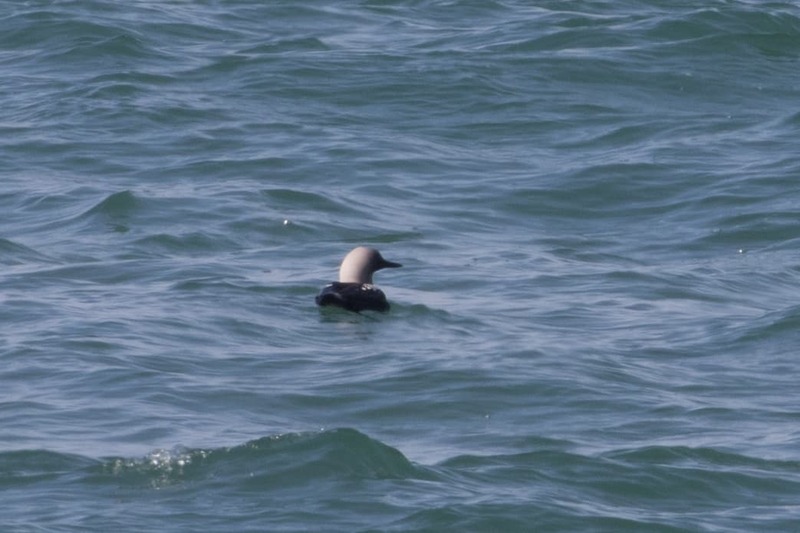 A Pacific Loon in breeding plumage! 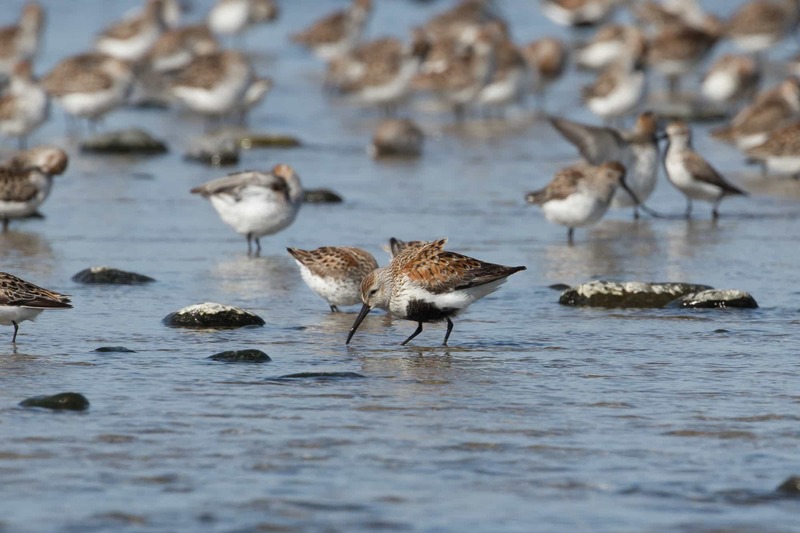 Note to self: spend more time with shorebirds in breeding plumage. They’re beautiful. It was late afternoon by now and I had time for just one more stop. 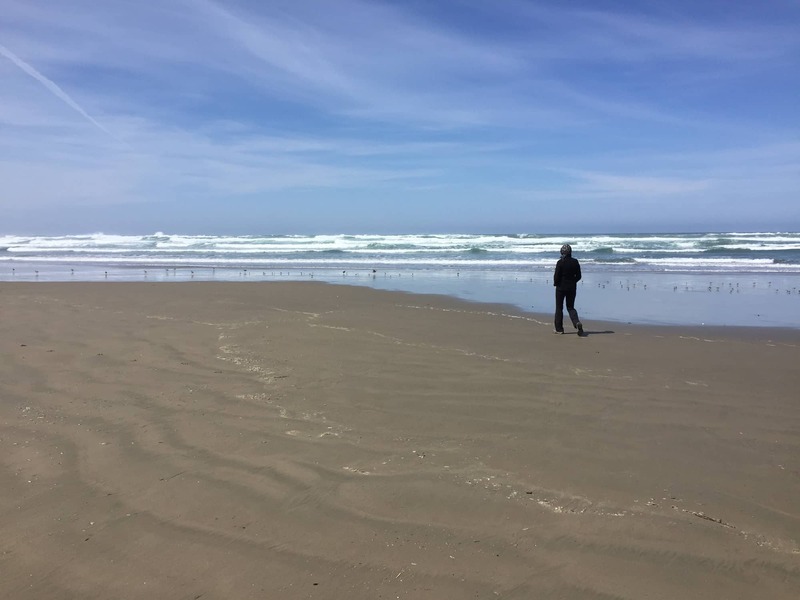 Since it was close, and I’d never been there, I decided on Yaquina Bay State Recreation Area just across from South Jetty. I approached the beach and saw shorebirds in the distance. This could be it. OMG, this was it! I spotted one of the banded birds in my binoculars. 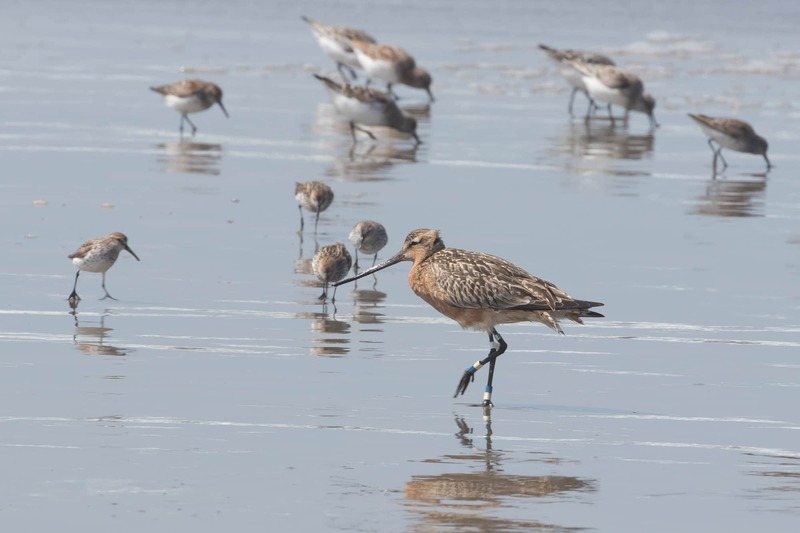 Some reports had been of birds with multiple blue and white bands on their legs, part of a bird-banding program in New Zealand, and positively identifying them as Bar-tailed Godwits. It was the best-case scenerio BTGO to find. But before I could snap a photo, a woman approached me, asking about the birds. She asked what the birds with the long bills were, “are they Long-billed Dowitchers?” Normally, I appreciate people’s interest in birds when I’m out, but this was terrible timing. But I explained what they were anyways. She thanked me, then proceeded to walk right towards the flock, spooking them all. Seriously? I had told her about the rarity too. I couldn’t believe it, but I didn’t have time to sulk, because I had to jog down the beach to keep up with the moving flock. Eventually, success! Look at all the jewelry on that New Zealand bird! What a huge relief. And the stranger thing was, besides that rude woman, I was the only one on the beach. No other birders. I posted the sighting on OBOL and enjoyed my time. I’d actually hit the jackpot of shorebirds at this spot. 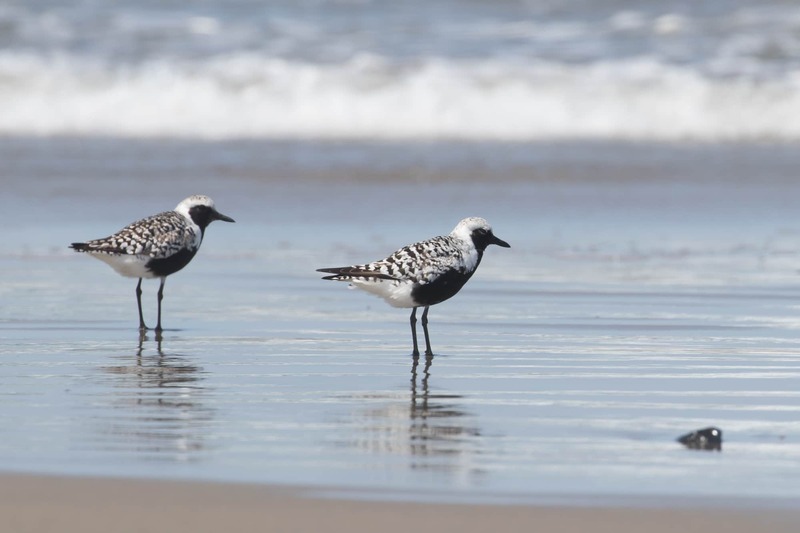 There were Black-bellied Plovers in breeding plumage. I almost dropped my binoculars. 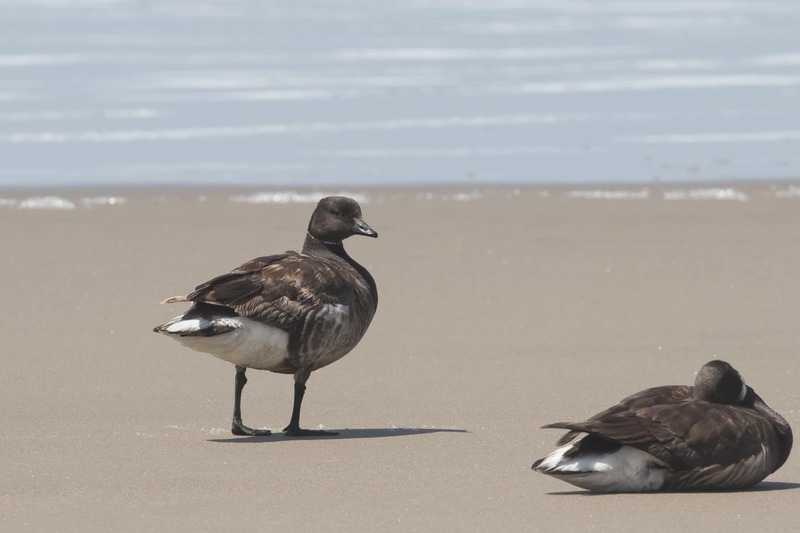 And a pair of Brant casually on the shore. 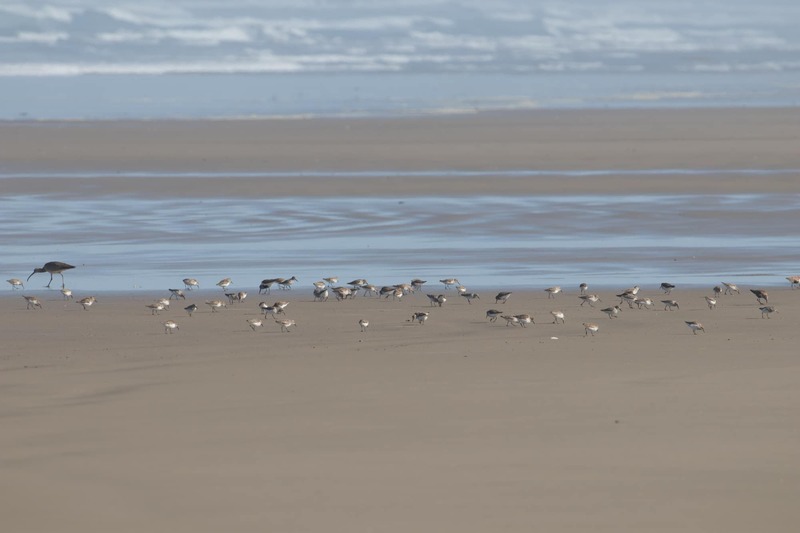 Whimbrels, plovers, godwits, sanderlings, it was hard to keep up! The tide came in further, many birds moved up to the jetty rocks to sleep in the warm afternoon sun. I regained and lost site of the Bar-tailed again, grateful for the time I had. X marks the spot, I’d found the treasure! 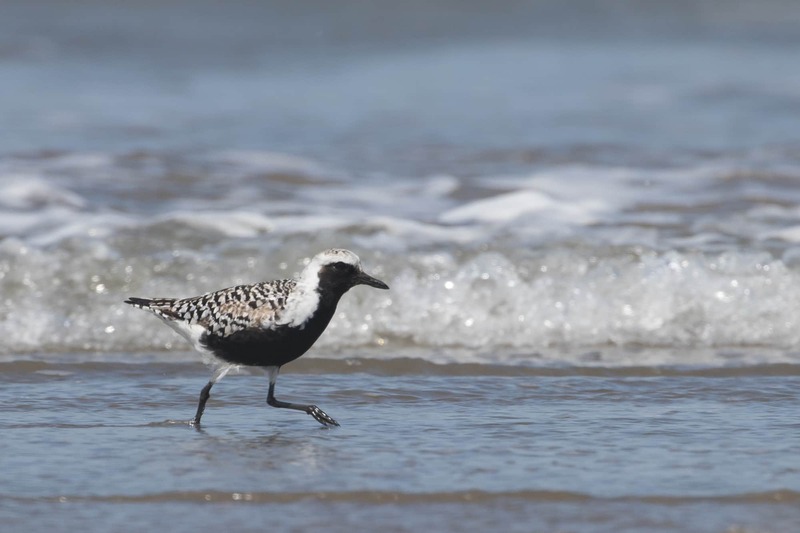 This entry was posted in Birding Trips and tagged Bar-tailed Godwit, Black-bellied Plover, Brant, Dunlin, Marbled Godwit, Mountain Quail, Pacific Loon, Ruddy Turnstone, Sanderling, Semi-palmated Plover, Western Sandpiper, Whimbrel by audge29. Bookmark the permalink.